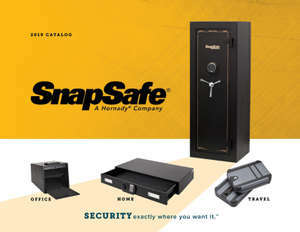 Easy to hide and easy to access — anywhere you want it with the SnapSafe In Wall Safe! 16 gauge steel body construction and .15" steel door. Electronic lock with key backup. Hidden security compartment on bottom shelf. Audio and LED visual warning light when battery is running low. Magnetic jewelry clip and document holder.